For over 25 years, Tessa Bunney has photographed rural life, working closely with individuals and communities to investigate how the landscape is shaped by humans. From hill farmers near her home in North Yorkshire to Icelandic puffin hunters, from Finnish ice swimmers to Romanian nomadic shepherds her projects reveal the fascinating intricacies of the dependencies between people, work and the land. 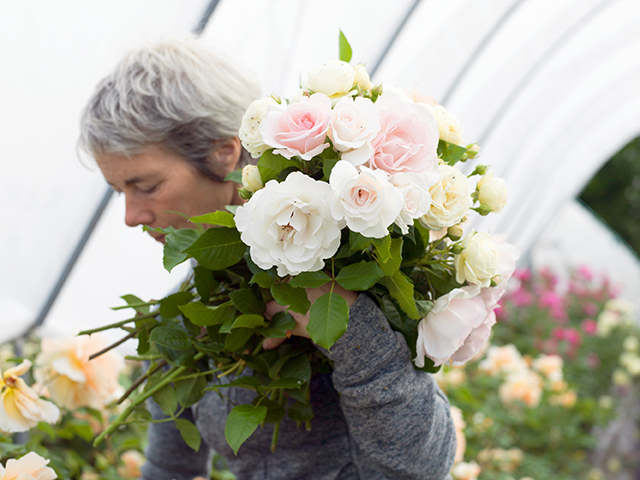 Her series FarmerFlorist explores a new movement in the U.K. for ‘fair trade in flowers’ and celebrates the domestic flower growers of Britain, both past and present. 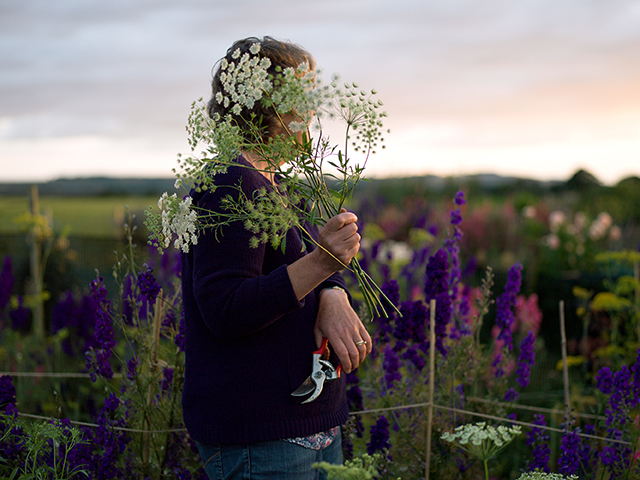 In a series of stunning photographs, Tessa sheds light on the individuals who are contributing to this vibrant, artisan cut-flower industry. Flower farms were once a familiar feature of the British countryside, but were gradually expunged by industrialised growing methods in the 19th century and then globalisation in the 20th. But now in the 21st century, small flower farms are springing up again, fed by fresh interest in environmental sustainability and local seasonal produce. We are a nation of farmers, of gardeners, of flower lovers and our cut flower industry is worth 2.2 billion pounds a year. Flower farms were once a familiar feature of the British countryside and market gardeners grew flowers among their vegetables. In the 1800s, larger farms sprang up as transport links improved and daily trains carried violets from Dawlish, snowdrops from Lincolnshire and narcissi from Cornwall. Flower production has always necessarily been linked to transport, and with planes came distance. Now we can have any flower at any time of year, flown in from the equator, or hothoused in vast Dutch greenhouses. 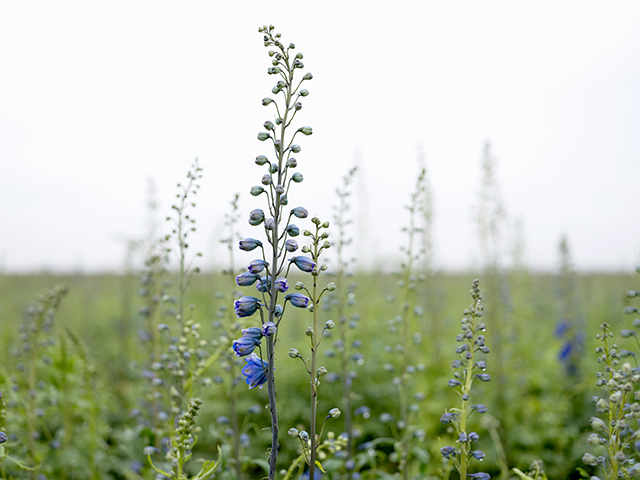 Recently a number of smaller British flower farms have sprung up, fuelled in part by the wider, resurgent interest in locally produced, seasonal, sustainably grown produce. 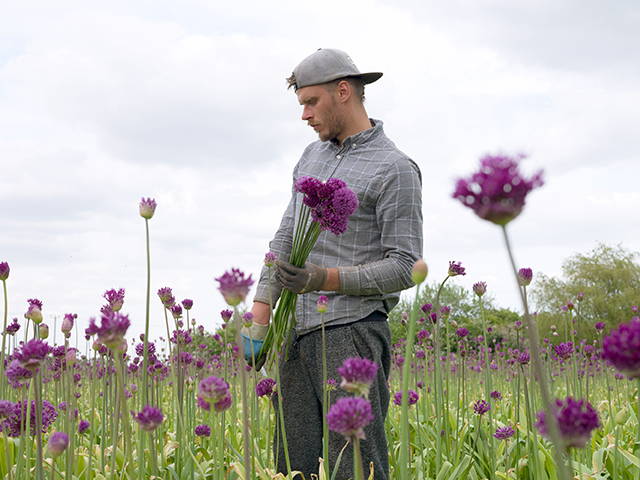 They are contributing to a vibrant ‘artisan’ cut-flower industry in the UK. Often popular with Eastern European workers, there is now a growing uncertainty amongst them as to their undecided future in the current on-going Brexit talks. Some have chosen to depart for other destinations leaving a shortage of workers in the flower farms. People say to me on a sunny day in June, ‘You have the ideal job.’ They never say that in November, when I’m planting bulbs and can’t feel my hands”. FarmerFlorist exhibits at Oriel Colwyn to coincide with British Flowers Week (10th – 16th June 2019) www.britishflowersweek.com/about #BritishFlowersWeek - Started by the Flower Market at New Covent Garden Market in 2013, British Flowers Week is an annual celebration of the wealth and variety of British cutflowers and foliage. Roses are probably my favourite of all flowers, I grow repeat-flowering scented roses. Scent is so important because that is what is missing when you buy roses in the shops. They’ve had the scent bred out of them so that they can be transported from the main rose-growing countries – Kenya, Ecuador, Colombia. Scent shortens vase life, so that’s why it has been bred out. **we are also pleased to confirm Tessa as a key speaker for the Northern Eye International Photography Festival, which returns to Colwyn Bay in October. (www.northerneyefestival.co.uk) - Full festival details and 2019 website releasing soon.